My research interests include the application of different in vivo MR methodologies to further the understanding of different psychiatric disorders including pediatric disorders such as ADHD and brain development. 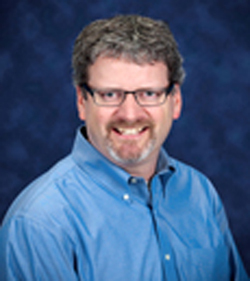 Address: WSU Tolan Park Medical Building Suite 5B 3901 Chrysler Dr.
Dr. Stanley’s research interests include the application of different in vivo MR methodologies to further the understanding of different psychiatric disorders including pediatric disorders such as ADHD and brain development. 2004 - present: Adjunct Assistant Professor, Dept. of Psychiatry, U. of Pittsburgh SOM, Pittsburgh, PA.
2004 - present: Associate Professor, Dept. of Psychiatry and Behavioral Neurosciences, WSU SOM, Detroit, MI. 2005 - 2011: Graduate Faculty Member, Wayne State University School of Graduate, Detroit, MI. 2010 - present: Director and Graduate Officer of the Translational Neuroscience Program (TNP), WSU, Detroit, MI. 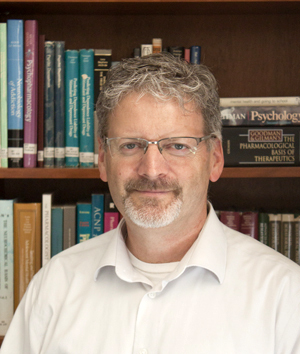 Jeffrey A. Stanley, PhD, is a neuroimaging scientist with over 25 years of research experience in furthering the understanding of neural mechanisms underlying brain development and aging as well as different psychiatric disorders including schizophrenia, at risk populations for schizophrenia, ADHD, and mood disorders. Through the use of different innovative Magnetic Resonance Imaging (MRI) methodologies including Magnetic Resonance Spectroscopy (MRS), functional MRS, quantitative structural MRI and myelin water imaging, Dr. Stanley has made significant contributions from the perspective of brain chemistry, function, myelin microstructure and morphology to the field of Psychiatry. 2005 - present: Graduate Faculty Member, Wayne State University School of Graduate, Detroit, MI. 2010 - present: Director of the Translational Neuroscience Program (TNP), WSU, Detroit, MI. Understanding the neural basis of learning and memory deficits in schizophrenia from the perspective NMDA-mediated modulation of hippocampal glutamate using functional ¹H MRS.
Understanding the neural basis of glutamate neural dysfunction in the hippocampus underlying age-related cognitive deficits in learning and memory using functional ¹H MRS.
Understanding the relationship between age-related changes in the brain and cognition and to examine the mechanisms that may underlie these associations from the perspective brain energy metabolism and myelination of subcortical and cortical areas. Understanding of the synaptic organization and integration of glutamatergic excitatory and GABAergic inhibitory (E/I) microcircuits that play a key role in regulating the excitability of cortex and hence, cortical function. Imbalances in E/I synaptic drive are thought to be fundamental contributors to network dysfunctions associated with symptoms and behavioral/cognitive impairments in psychiatric disorders. Research includes investigating task-related changes in brain glutamate under different cognitive conditions using functional MRS, which provides a sensitive and insightful tool for investigating disruptions to the E/I synaptic drive in neuropsychiatric disorders such as in schizophrenia.